Rebecca Gimenez, Ph.D. (Animal Physiology), MAJ (USAR), is a Primary Instructor for Technical Large Animal Emergency Rescue. She is a decorated Iraqi War Veteran, past Logistics Officer for VMAT-2, an invited lecturer on animal rescue topics around the world, and a freelance writer on equine subjects. Tomas Gimenez, MVZ, Dr. Med. 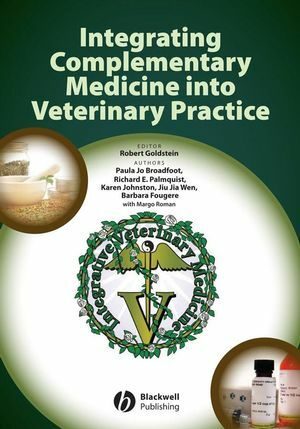 Vet., is a Professor emeritus for the Animal and Veterinary Science Department at Clemson University, National Veterinary Response Team (NVRT), National Disaster Medical System, and an instructor for Technial Large Animal Rescue. Kimberly A. May, DVM, MS is a board certified large animal surgeon and the Assistant Director of Professional and Public Affairs at the American Veterinary Medical Association. Chapter 1. Historical Overview and Development (Dr. Rebecca Gimenez). Chapter 2. 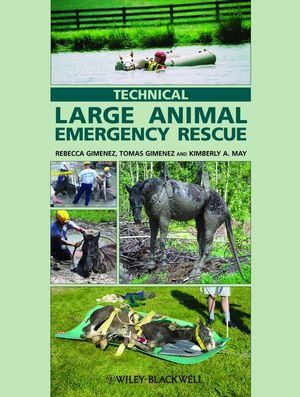 Purpose Of Technical Large Animal Emergency Rescue (Dr. Rebecca Gimenez). Chapter 3. Incident Prevention and Evacuation Planning (Dr. Rebecca Gimenez). Chapter 4. Understanding Large Animal Behavior in TLAER Incidents (Dr. Rebecca Gimenez). Chapter 5. TLAER Scene Management (Dr. Rebecca Gimenez). Chapter 6. Understanding Large Animal Restraint in TLAER Incidents (Dr. Rebecca Gimenez). Chapter 7. Water and Unstable Ground Rescues (Dr. Rebecca Gimenez). Chapter 8. Loose Large Animals (Dr. Rebecca Gimenez). Chapter 9. Trailer Incidents (Dr. Tomas Gimenez, Dr. Rebecca Gimenez). Chapter 10. Barn and Wild Fires (Lt. (Ret.) Jeff Galloway, Dr. Rebecca Gimenez). Chapter 11. Ambulance And Recumbent Animal Transport (Dr. Rebecca Gimenez). Chapter 12. Communications in Veterinary Field Operations (Dr. Kathleen Becker, Tori Miller). Chapter 13. Euthanasia in the Field (Dr. Rebecca Gimenez). Chapter 14. Rope Rigging and Mechanical Advantage (Dr. Tomas Gimenez). Chapter 15. Manipulating the Object – Basic Rescue Techniques (Dr. Rebecca Gimenez). Chapter 16. Manipulating the Object – Vertical Lift Techniques (Dr. Rebecca Gimenez). Chapter 17. 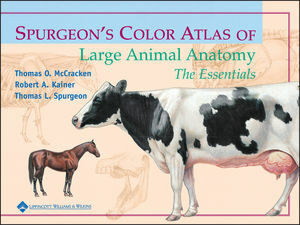 Large Animal Field Emergency Medicine (Dr. Janice Baker). Chapter 18. Helicopter Operations (Dr. Rebecca Gimenez). Chapter 19. Decontamination of Large Animals (Dr. Lisa Murphy, Dawn Slessman, Bob Mauck). Chapter 20. Special Veterinary Problems of Animals Requiring Technical Rescue (Dr. Janice Baker). Chapter 21. Livestock Transport Emergency Response (Jennifer Woods). Chapter 22. Learning From Actual Incident Scenarios (Dr. Tomas Gimenez, Dr. Rebecca Gimenez).